Under the goal of establishing a happy and age-friendly city, Busan Metropolitan City has been implementing various policies focused on providing a comfortable retirement life for the elderly. Our policies and programs are aimed at creating job opportunities for the elderly, ensuring the availability of welfare facilities, bolstering individually customized services for the elderly, providing financial support for retirement, creating a lively leisure culture and nurturing the age-friendly industries of the future. To that end, the city is currently providing about 25,000 jobs for the elderly both in the public and private sectors. As for the baby boomers, who are nearing retirement, we are providing job-matching and job training services through the Comprehensive Human Resource Management Center for the Aged. To ensure that there are more welfare facilities for the elderly, we are continuing to establish new senior welfare centers and halls for the aged. At the same time, we are managing and renovating the older ones. We always try to ensure the efficient operation of the 171 life-long learning centers across the city and the elderly colleges, which four local universities including Pusan National University have been designated to manage and run. Along with these, we are in the process of establishing a Busan branch office of the Korean Senior Citizens Association. As such, we are increasing welfare facilities for the elderly step-by-step to create a leisure-oriented and age-friendly culture in Busan. We are providing for the utmost care of vulnerable elders living alone. Specialized agencies for the aged, the day or nighttime care facilities and the Elderly Home Support Service Centers are in operation in Busan. To ensure the health of the elderly, we also provide free vaccination services and geriatric care helpers, who regularly pay a visit to the homes of the elderly most in need. we are providing utmost care for vulnerable elders. We offer by running care services for those who are living alone, operating some specialized agencies for the protection of the aged, 24-hour care centers for senior citizens and the Home Support Service Centers. To ensure healthy life of the elderly, we provide free vaccination services and geriatric care helpers pay a visit to the homes of the elderly. With regard to our efforts to nurture age-friendly industries, we have been operating centers that promote, offer first-hand experiences and rent assistive devices to the elderly. In addition, by holding the annual Korea Rehabilitation and Senior Care Exhibition (KORECA), we are providing consultation services for buyers from silver-aged industry and employment consultation to the elderly. At the exhibitions, the elderly can learn and try out the latest aid devices as well. We understand that making an environment where all generations of citizens can enjoy convenient and comfortable transportation, residency, safety and good health is closely linked with the establishment of an age-friendly city. Therefore, Busan Metropolitan City has established and continues to design and implement various policies in cooperation with related departments. In this process, we want to fully reflect the opinions of senior citizens since they are the very subjects of such policies. We also implemented a well-established policy evaluation system to ensure the desired results. 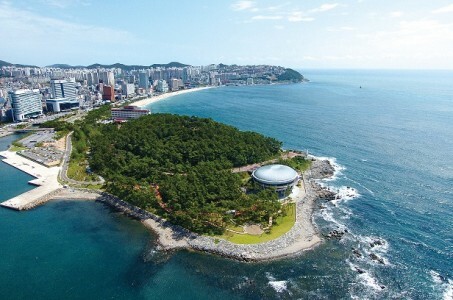 As such, Busan Metropolitan City will continue to do its best to establish an age-friendly city.